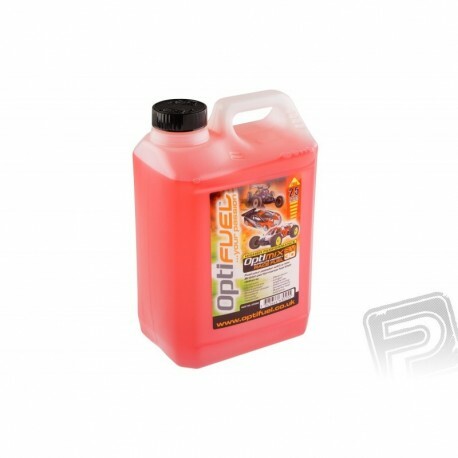 Glowing fuel for RC cars specially developed for top racing riding with optimized performance for extremely high performance. It contains 10% of fully synthetic KLOTZ low viscosity oil and 30% nitromethane. It contains the red dye KLOTZ Red for easy visual inspection of fuel tank status and distance - this is especially useful for RC helicopters and cars. The dye does not affect the operation or adjustment of the engine. Pack of 2.5 liters. The product contains substances classified as dangerous according to Regulation (EC) No 1272/2008. See the "Download" section for details.